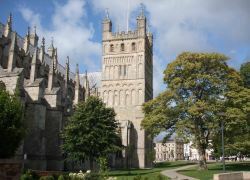 Accommodation resource companion from ExeterViews.co.uk featuring many of the hotels within the city of Exeter! This hotel location map for the Premier Inn Exeter City Centre has been provided as a guide to help show the approximate location of the hotel in Exeter. 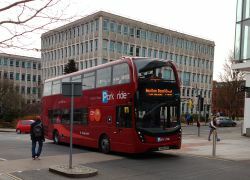 Visit the accommodation links below to check Premier Inn Exeter City Centre availability and more information including photographs, address and links to hotel reviews. The Premier Inn Exeter City Centre location map icon below can also be clicked to reveal more details and information. And the map controls can be used to zoom in at Exeter street level or out to Devon county level if required! Please Note: This map is intended as a guide only. It is advised that you confirm any markers shown within the map for accuracy. The markers have been placed within approximate positions and therefore should not be used as a navigational aid! Looking for Places to Stay in Exeter?